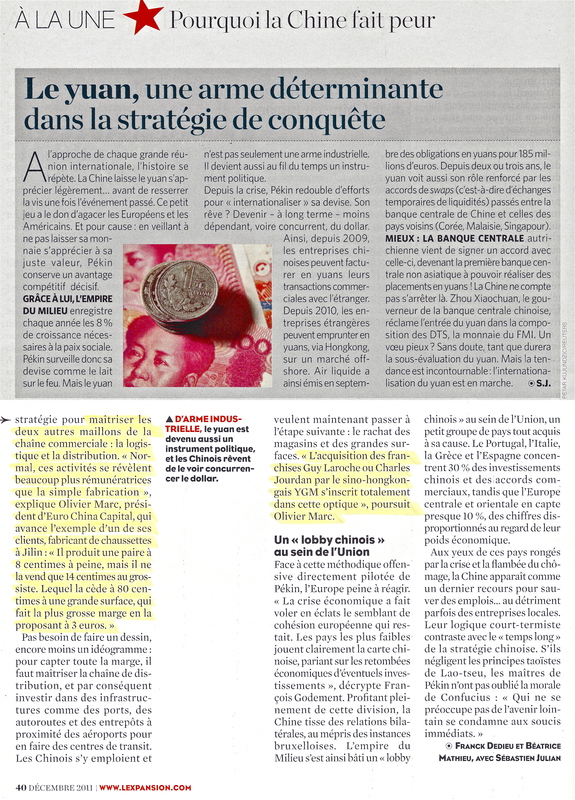 December 2011: Olivier MARC of Euro China Capital is interviewed by the French leading business magazine, L’Expansion. 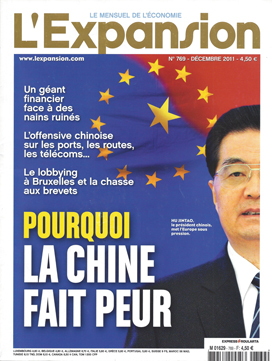 The magazine cover highlighted the fears that China may create for certain European public opinion. In the article, Olivier MARC explained that Chinese appetite is rationale and can be used as an opportunity, yet cautiously, by our European companies.